I'm really getting into the sound of this... Is it all OP-Z or are there a lot of IOS Apps added into the final results. Engineered by Teenagers? They must be geniuses to graduate and start a company while in their Teens, huh? Thanks. It’s all iOS. I used the OP-Z to sequence them in AUM. It’s all iOS. I used the OP-Z to sequence them in AUM. Cool. So for $600 I can replace @Xequence in my workflow? Awesome. I have on the way and am planning to use it the same way. So Mister Opera: Easy learning/flow/uptake/happy? You really think about to exchange the Octatrack MKII with the OP-Z because of the sequencer power? I’m wondering is there no sequencer in the iOS world who can compete with the OP-Z? I’m happy you love your new toy @echoopera ! Heheh. I know a lot of my enthusiasm is new gear induced, but so far it’s everything i wanted it to be for sequencing. 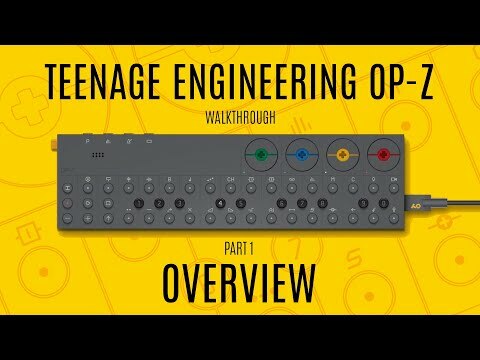 It’s like Teenage Engineering focused on making a great sequencer, and delivered on that goal. 16 channels of sequencing from a device this small is just nuts. Super portable and able to compose as stand alone is fantastic. Really, really nice stuff. So happy you're posting on here, and if anyone doesn't know about Echo Opera's record, "Silence + Echoes," I recommend it highly. It's as if Richard James had the benefit of listening to My Bloody Valentine before he started making music. It's in my playlist alongside Pantha du Prince and Rival Consoles. It's really good. 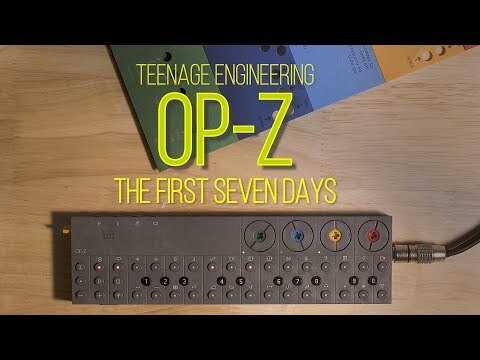 @echoopera, do you think the OP-Z brings something (flow? inspiration? weird timbres?) that you can't find by sequencing either in Modstep, say, or on Ableton? Does it play well with your Digitakt? At some point, I'd love to see a schematic of where all these pieces of gear live in the signal chain. Keep up the good stuff, man. As far as the OP-Z bringing something...well, I find that serendipity and experimentation happens a lot more often with it...much in the same way the Digitakt and Octatrack breeds this when composing. Ableton is bread and butter...but I'm not always on my laptop, so the OP-Z, iOS iPad pairing is a great platform. Thanks in advance for giving it a listen. Whoo...strong words there haha. I’ve only used the ot as an ipad sequencer 1 or 2 times. It’s great at it but cables and audiocard etc needed. When i am using the ipad i prefer to be truly mobile and usually just use it alone for the brunt of the creation process, adding controllers and whatever else right at the end when i’m going to make a video, but until that moment i want to be freeeeee. That’s why the opz is so great. Freedom but control. Have you figured out what step component behaves mostly like an elektron conditional trigger? @echoopera cool thanks. Just watched the last part of the video and saw this. I usually like cuckoo’s videos a lot but this one is tough, more arcade sounds than normal and difficult to hear what is happening with the step components. Always love your creativity and I enjoy listening your tracks @echoopera ! I’m now for two months with the OP-Z and I really love this little beast! So tiny but so powerful in the right hands. I already had a LOT of fun with it up to now. 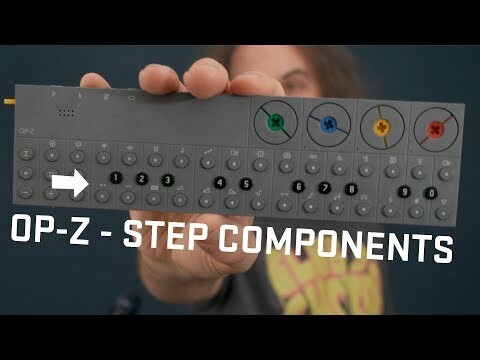 I can not say that I understand everything what the OP-Z can do, there is still a lot of try and error while exploring the possibilities but I can say this little thing brings a lot of fun while using it. @chandroji Thanks for the kind words. Much appreciated it. So frustrating though. Photomatic was working and now i couldn’t get it going. Heck yeah! Loving your tracks with this thing. Now that I know I can master tune the lil bugger in cents I’m all in, and plotting my acquisition. It’ll probably be September or so before I can swing one. Your work with it is definitely inspiring! @Gaia.Tree Thanks for the kind words. Just trying to share my spirit via my notes from this part of the world ya know :) I think you're going to have a great time with it. So far it's been a blast to use...and combining it with Electribe Wave has been a lot of fun as well. Here's another little experiment from last night getting a lot of use out of Step Components to make a rather simple single Project session feel a little bit more than the sum of its parts. 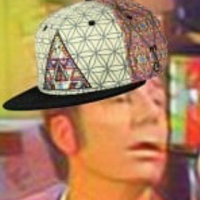 Very cool bro. 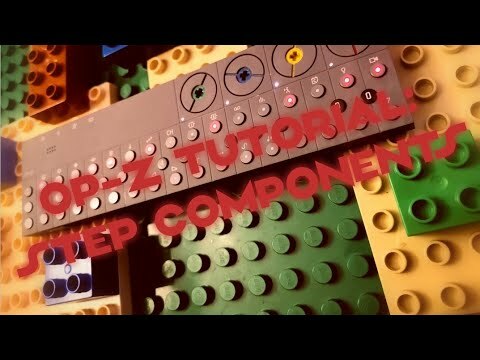 Add this guy to your tutorials to watch, it’s the best step component video i’ve seen. Super detailed and uncluttered. By the way new firmware. And yeah @ExAsperis99 it IS that cool. It just works so well standalone and with the ipad. You can hook it up via a keyboard and play piano parts orwhatever into it so you get that going in aum (which i was missing). Plus you get the elektron style parameter locking, but even more so since you can stack the actual note triggering and parameter changes and when the changes happen and when they are ignored. And then you actually punch in all these live fill options. So as dense as you make something, with a million changes, you can jam it and really add stuff. I’ m finishing up a little track where i only use 16 steps on all tracks and use step components to maximize everything. Kinda like a self imposed limit to see how interesting i can make it.